I wonder if other people think about cocktails as often as I do. Now I know that is a pretty damning statement, but I promise I don’t have a drinking problem. I like a cocktail or a glass of wine, but usually, I’m not really thinking about drinking, I’m thinking about the flavors paired with the liquors. 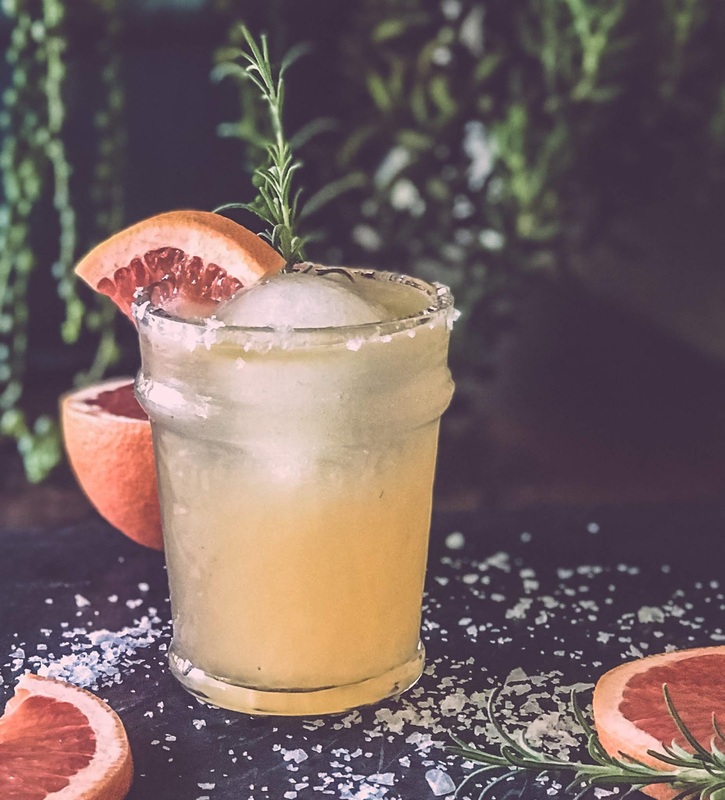 For example, I absolutely love how grapefruit, salt, rosemary, and tequila blend together perfectly for a refreshing, tart, herbaceous cocktail. 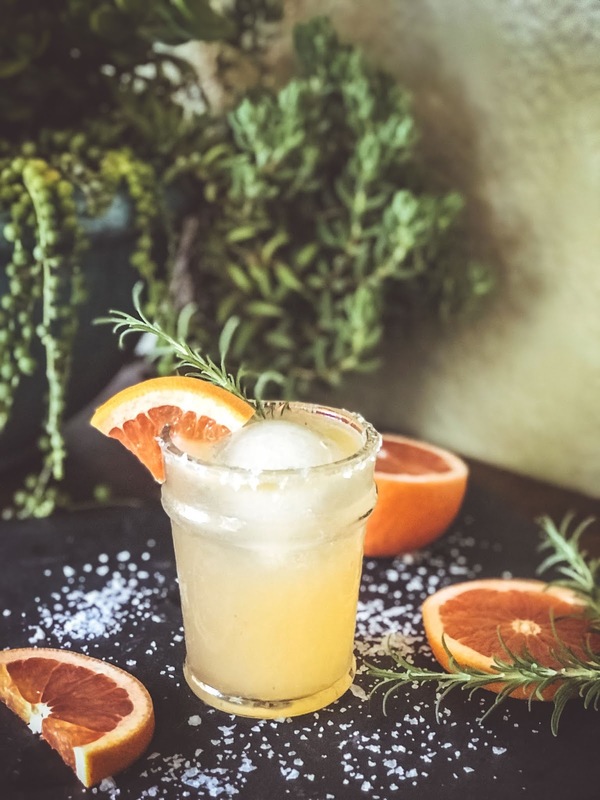 A Paloma is one of the most popular recipes in Mexico. This week as I was trying to decide which cocktail I wanted to make, I thought about what I was drinking last summer and this was the cocktail. We visited Playa del Carmen last September and I think I might have drunk all of the Palomas in Mexico. They didn’t use rosemary in theirs, but there is almost nothing I love more than using the herbs in my garden in my cocktails. 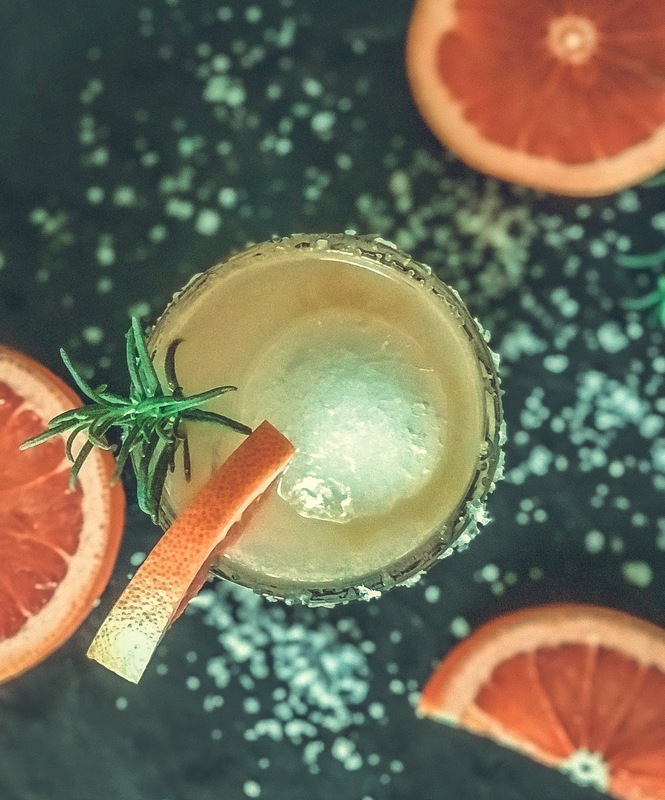 Combine the grapefruit juice, lime juice, rosemary simple syrup, and tequila in a cocktail shaker filled with ice. Shake vigorously and pour into a highball glass rimmed with lime juice and sea salt. Top with a splash of club soda and 3 dashes of grapefruit bitters. Garnish with a rosemary sprig and a grapefruit wedge. Combine the sugar, water, and the rosemary sprigs in a small pan over medium heat. Bring ingredients to a boil. Once boiling, reduce heat and simmer for 5 minutes. Remove from heat and allow the rosemary sprigs to sit in the syrup for another 10 minutes. After 10 minutes, remove the rosemary and pour into a jar. Allow syrup to cool completely. 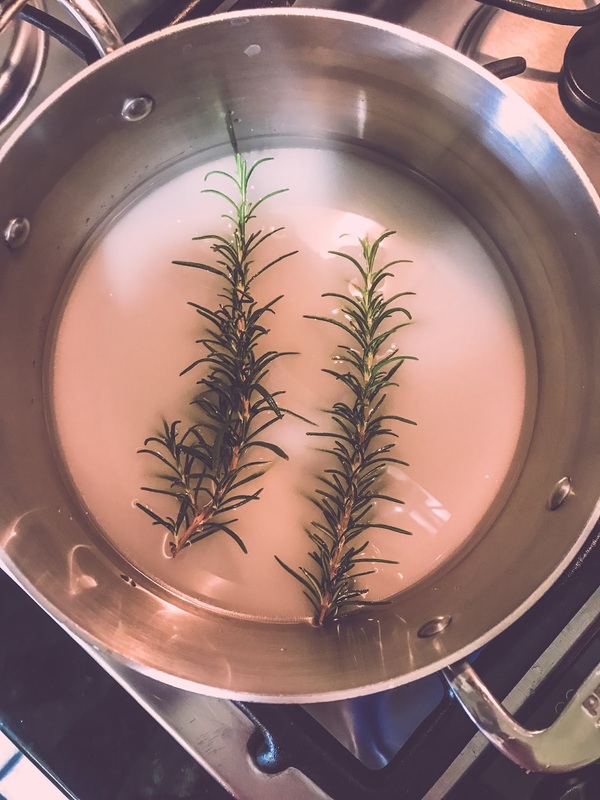 Rosemary syrup can be kept in the refrigerator for up to 1 week.